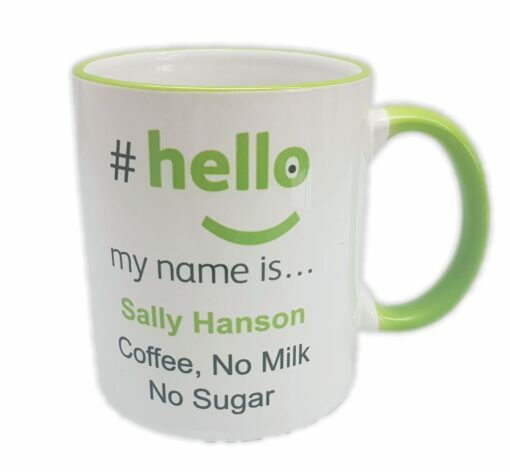 Presenting the official premium personalised #hellomynameis… mug with name and drink preferences. 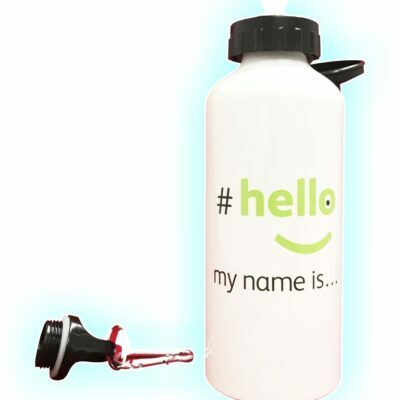 Personalised with your name and drinks preferences, there’s no more excuses now for not getting the right drink or right mug. 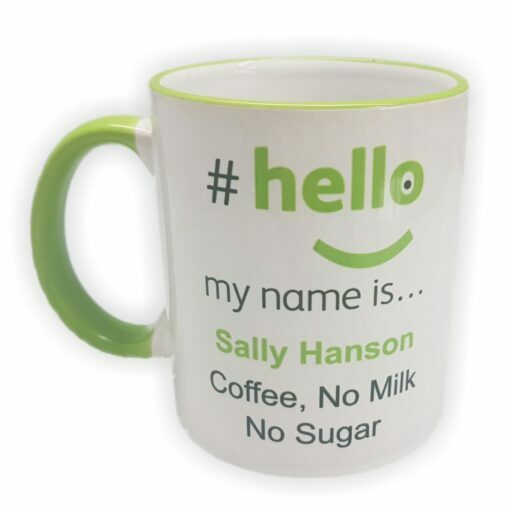 Perfect for when somebody else is making the drinks, they can simply refer to your drink preferences which are printed on both sides of the mug, ensuring you get the right drink and right mug every time. Mugs can be personalised with any name and any drinks preferences, or get creative and use lines 2 and 3 for other ideas, the choice is yours. £1 Donated to Leeds Cares Charity formally known as Yorkshire Cancer Centre for every mug sold. For larger quantities see below instructions. 6. Change the mug quantity button to the total number of mugs required, this should match the spreadsheet. 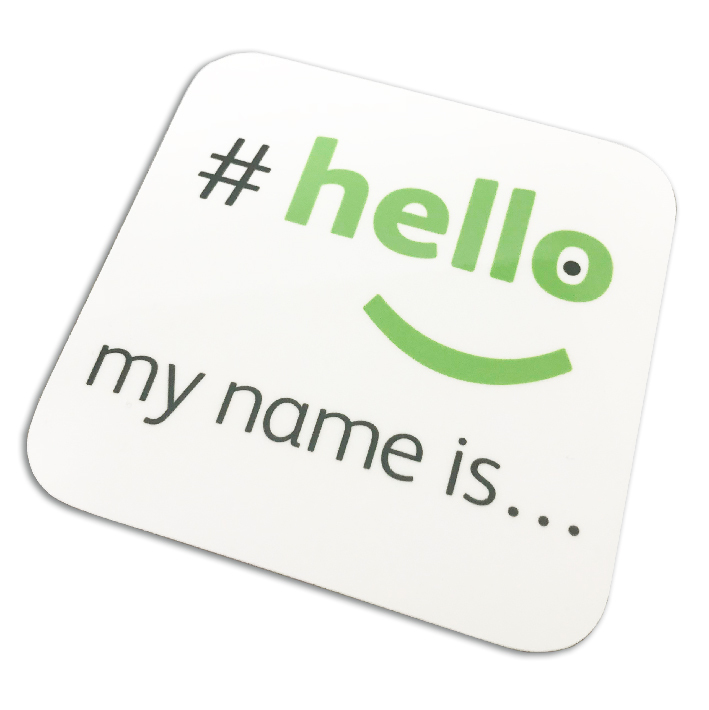 Show your support for Hello My Name Is with the official personalised mug of the campaign as endorsed by Chris Pointon, the premium version comes with hello my name is green rim and handle. 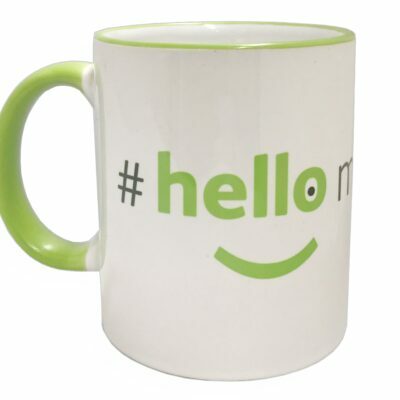 10oz White Mug featuring hellomynameis branding, colour coordinated rim and handle with name and drink preferences. 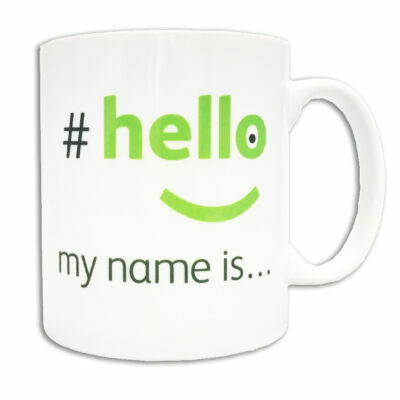 Fully personalised printed mug, simply fill in the details that you would like to feature on the separate lines of the mug and get your own bespoke premium hello my name is mug. For each personalised mug sold we will donate £1 to the Leeds Cares Charity formally known as Yorkshire Cancer Centre Appeal.